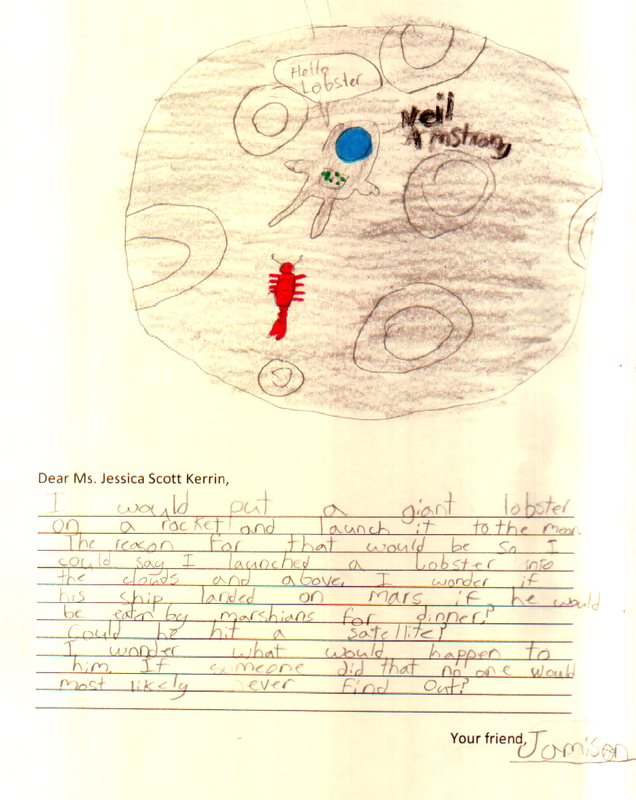 I never thought about sending a giant lobster into space. That would make a great story. I see that you’ve paired the lobster with astronaut Neil Armstrong. Neil Armstrong was one of my childhood heroes, so we have that in common. Perhaps you’ll get to the moon someday, but more likely, it will be Mars.